Do Accounting Tasks Consume too much of your time? Is your administrative staff wearing too many hats? Are you trying to fill the role of bookkeeper in addition to managing other aspects of your business? Do daily accounting tasks and bookkeeping take you away from your customers? Are you not spending enough time getting more sales? If you could use some help or expertise, consider that Holland & Company can do for you. We provide access to the expertise, manpower, and the knowledge to enhance all your financial and accounting functions. You determine which level of help is most beneficial to your business. We’re here to help you determine whether it is more cost effective for you to hire additional staff or outsource for your particular situation. Read on to learn more about your services and capabilities. 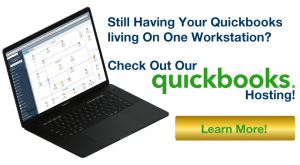 At Holland & Company, we pride ourselves on being QuickBooks experts. For over 25 years, we have advised, trained, hosted and set up clients on QuickBooks. We support all versions of QuickBooks Desktop and QuickBooks Online. We continually search for new ways to help our clients. The B.O.O.S.T. Client Portal (Back Office Outsourced Support Team) is one way to “boost” efficiency and performance by hosting your accounting software remotely. You can access QuickBooks, Peachtree or other accounting software via our B.O.O.S.T. Client Portal 24 hours a day, seven days a week from any computer with a high-speed internet connection. A portal is simply an entrance to another site. Portals offer a secure way to get immediate access to your information and tools online. If you’ve ever checked into your banking information or personal investments online, you’ve accessed a portal – it’s that easy to use. Why use the B.O.O.S.T. Portal? It is a quick, easy and secure way to access your licensed accounting software – anytime, from any where using a high-speed internet connection. Reduces software purchasing costs – lease vs. buy. Eliminates the need to update your software manually – you have access to the most up-to-date version of software at all times. Reduces the amount of computer hardware you need to purchase and maintain. Simplifies software licensing requirements – your monthly leasing fee includes the cost of your license. You can print locally to any printer or attach a PDF (PDF Writer included) to an email because it comes with a universal print driver. Your data is secure. A full-time security staff, multi-level physical security, bio metric identity verification, video surveillance, locked cabinets, and advanced key management protects the data center. Automatic data back up – your data is backed up daily on high quality, encrypted tapes and stored off-site in a secure SAS-70 Type II certified data center. Right Networks delivers reliability, security, and data protection through a fully clustered, fault-tolerant, redundant infrastructure with no single point of failure. Whether you need general accounting help or want to learn more about specific services, contact us today to start ‘B.O.O.S.T.ing’ your productivity.